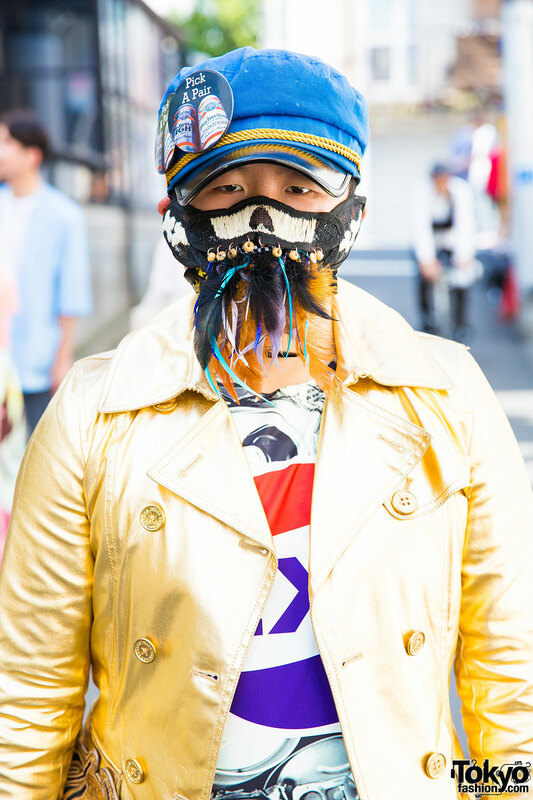 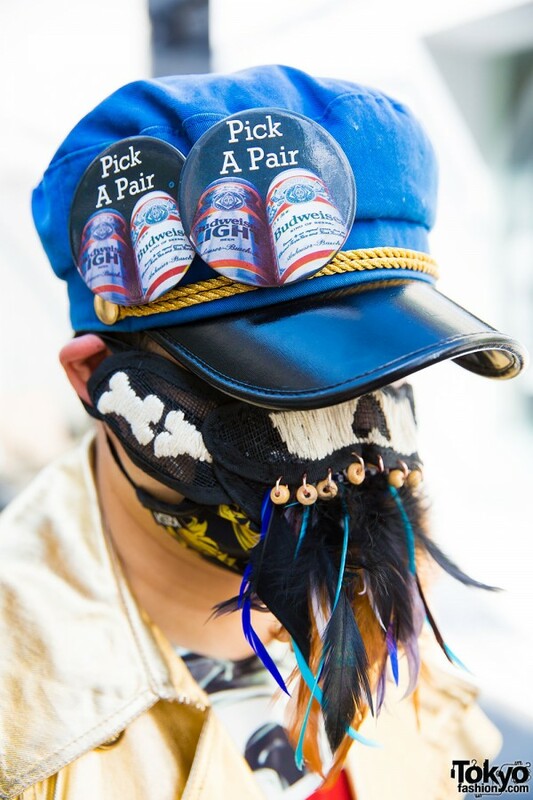 This is Kikkun, a guy who attracted our attention with his fashion and unique face mask on the streets of Harajuku. 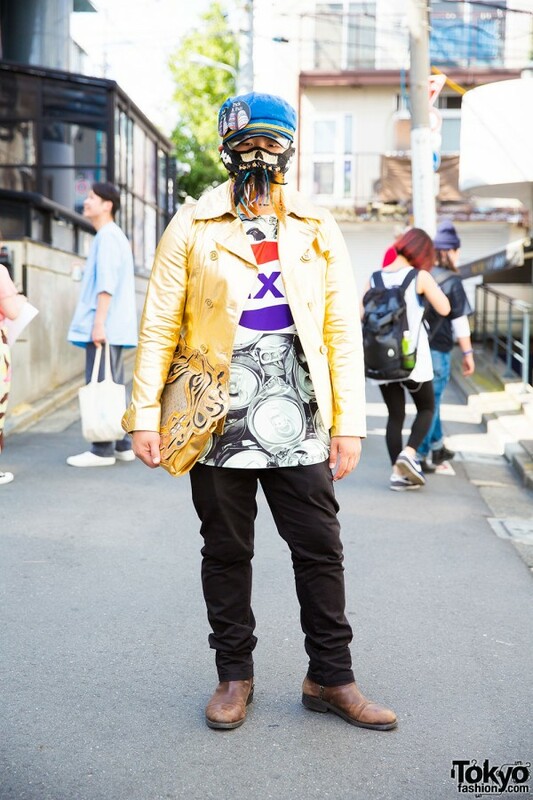 He was spotted wearing a golden yellow, double-breasted Quartet jacket over a graphic tee and dark pants. 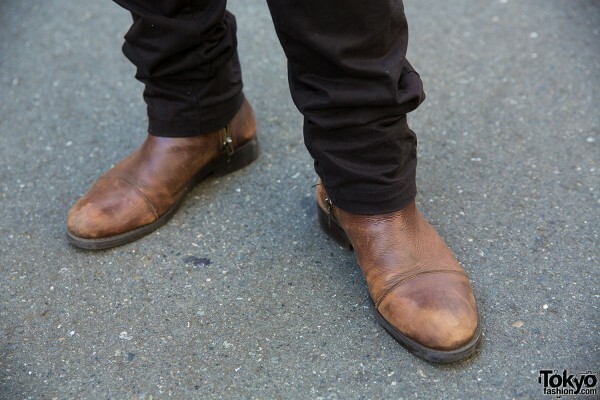 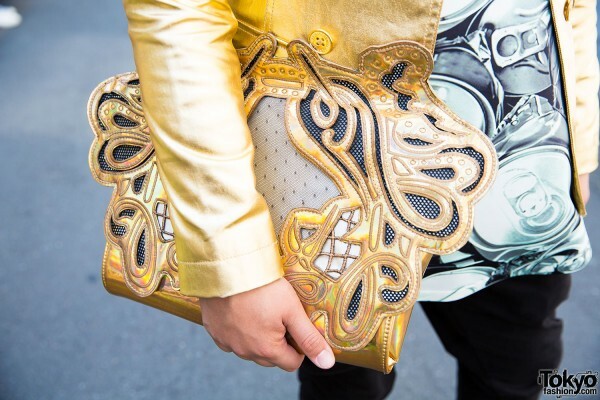 He finished his look with cognac boots by Zara and a statement-making clutch bag from Dog. 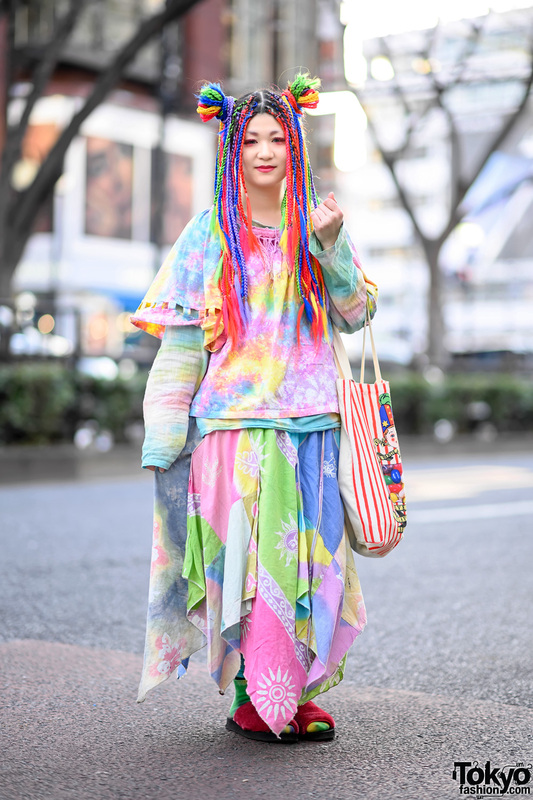 Kikkun loves shopping at LHP (Lazy Hazy Planet) and likes listening to reggae music.